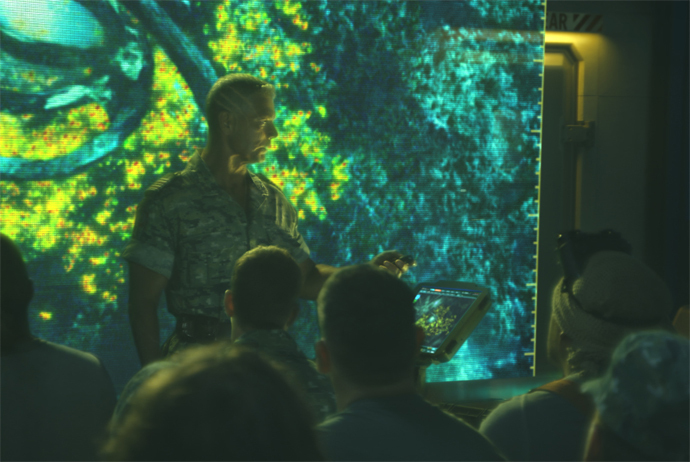 Futuristic modality scan of Na'vi gathering around home tree. Late on a Fri night, James Cameron called for a meeting at midnight to review the modality look. He sketched on some print outs, we discussed the look, I returned back to the facility by 2am, and painted until noon. Jim wanted to review the entire sequence the next eve. Comp rendered and delivered to Fox by 5pm. I think I still have the sketched on print-outs :). 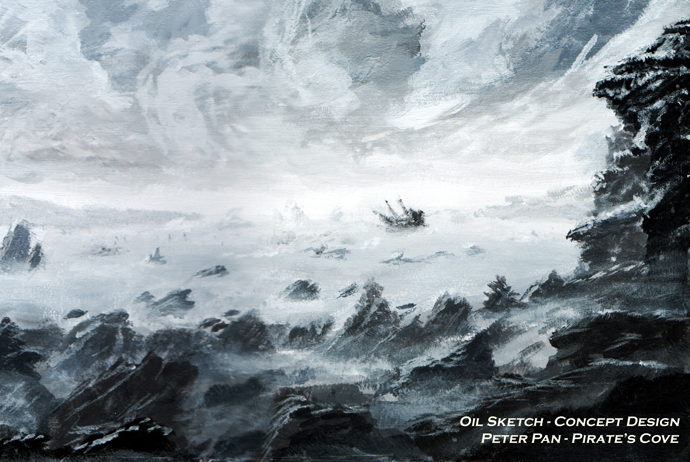 Peter Pan Concept done with Oil on Board. Captain Hook's ship frozen in a bay outside Skull Island. 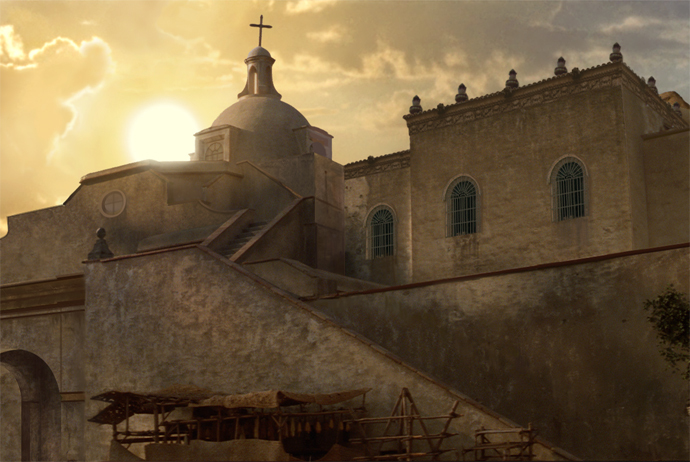 Michele Moen and I were lucky enough to be hired by production Art Dept and allowed to concept in oils. We savored the days of doing oil paintings outside at Riot's 4th floor balcony/patio over-looking Santa Monica beach. I think one day we even popped open a bottle of wine. Ahhhh, good times. The best thing for an artist is to have really talented eye balls look at your painting and help you improve it. I was insanely lucky to have Syd Dutton help me develop. On top of that, I had Rob Stromberg and Mike Wassel to critique my paintings. My almost 6 years at Illusion Arts was truly life-changing. My next job, I got to share an office and paint with Michele, Rocco, and Deak. C'est si bon! The Art on this site is currently being updated.